Commonly referred to as Electronic Warfare or EWAR cruisers, Disruption Cruisers specialise in the suppression and - you guessed it - disruption of opposing ships. Like the smaller Disruption Frigates, each race's platform favours a different form of electronic warfare - ECM for Caldari, remote sensor dampening for Gallente, tracking disruption for Amarr, and target painting for Minmatar. exist to ruin your day. 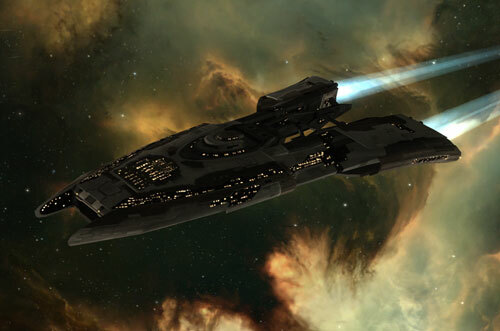 The disruption cruisers range from pseudo combat ships like Arbitrator and Bellicose, through to dedicated electronic warfare platforms such as the Blackbird. While they do see varying levels of use as solo platforms, these ships are most at home in a gang environment where they fill a crucial supporting role. In the right hands, against the right opponent, the disruption cruisers can easily be some of the most powerful in their class.